Probable specimen of Sibariops, photographed by Mike Quinn. 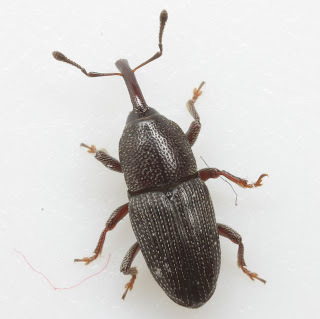 The Torcina is a group of weevils with a parallel-sided and relatively slender body. [H49] Hustache, A. 1949. Nouveaux Barinae Sud Américains. Troisième partie – Centrinina. Boletim do Museu Nacional, nova serie, Zoologia 97: 1-143.